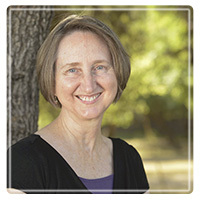 San Antonio Therapist: Jeanne Strauss - Therapist 78248. Send A Message To Jeanne. Session Fees: 60 minute sessions $120. Some sliding scale available. Insurance receipts given for reimbursement. Welcome. I'm glad you're considering working with me. I love meeting people on their personal growth journey and accompanying them for a time. You now have someone in your corner to help you figure out what you need and how to go about getting it. It's not easy choosing a therapist, and the fit is as important as the expertise. I would be happy to talk or email to help you determine if I'm the best therapist for you. I believe in people through life’s most challenging moments until they can believe in themselves again. I am a Licensed Clinical Social Worker with over 25 years of experience as a psychotherapist. I integrate mindfulness skills, hypnotherapy and solution focused therapy for stress relief, emotional resilience, and goal directed living with clients and students. I specialize in anxiety related issues and relationships of all shapes and sizes. Benefits offered through working together. We begin with a simple, warm conversation. I will often help you look more deeply at things you may not have noticed, offer insights, help you tune into your intuition and teach you practical skills and tools. I will help you uncover strengths you already have and find ways to apply those daily. I strive to help you get the most out of each session to minimize your cost and maximize your progress. Toward that end, I invite you to email me a summary in advance of your sessions to set some priorities and ask for accountability. Near the end of each session we will be talking about next steps in a very practical way. What are you going to do differently starting tomorrow? Connections are the most important things in our lives whether with a partner, family, friend, co-worker or community, there is nothing that can make us happier or sadder than what's happening in our relationships. If we are not creating and maintaining healthy and happy relationships, our lives are diminished. Often I work with one person in a relationship to help facilitate change in a family or marriage. Many times I work with someone to develop a support system and to change the limiting beliefs and habits that have made relationships hard in the past.